Japan’s Meiko Group has been licensed to invest up to US$300 million to manufacture electronic components in Thach Xa Industrial Zone, Ha Tay Province. Licensed through Meiko’s Hong Kong branch, it’s the largest foreign-owned electronics-manufacturing project yet in Viet Nam, let alone Ha Tay. Meiko’s new factory, which is estimated to generate annual revenue of US$1.7 billion, will employ 6,700 people to make printed circuit boards and assemble parts for PCBs and other modular components. 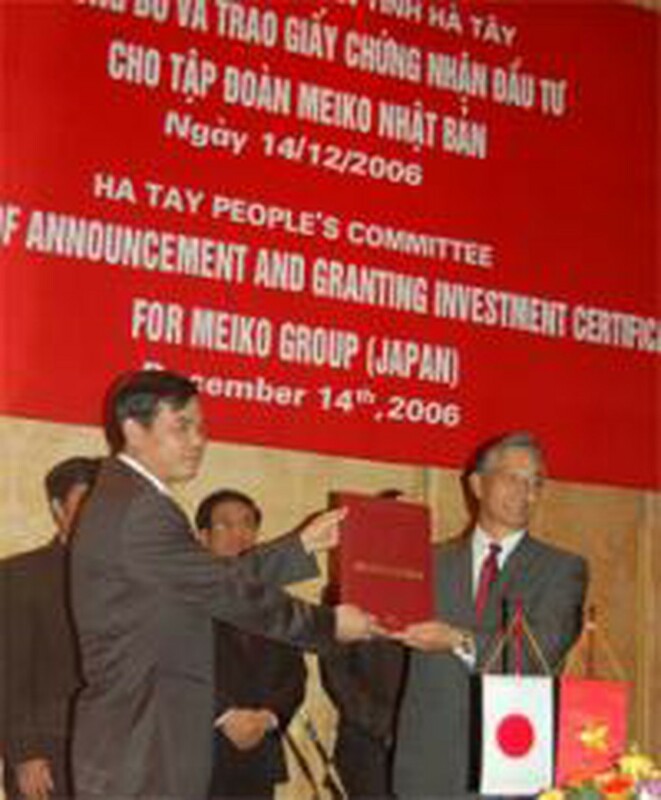 Gaining the Meiko project is a milestone not just in Ha Tay’s efforts to entice investment from abroad but also for Viet Nam’s policy of luring more high-tech manufacturing projects. Ha Tay has made considerable changes this year to attract foreign investment, resulting in many projects being licensed this month and last. November’s tally of five projects with total capital of US$236 million is a good result but is eclipsed by the seven projects worth US$614 million lined up for licensing in December. After Meiko’s venture, the biggest of the newcomers is the US$221.9-million North An Khanh residential project by Vinaconex and Korea’s Posco. Since the start of 2006, Ha Tay has attracted 24 foreign projects capitalized at US$874.9 million all up, or nearly 13 times last year’s figure.